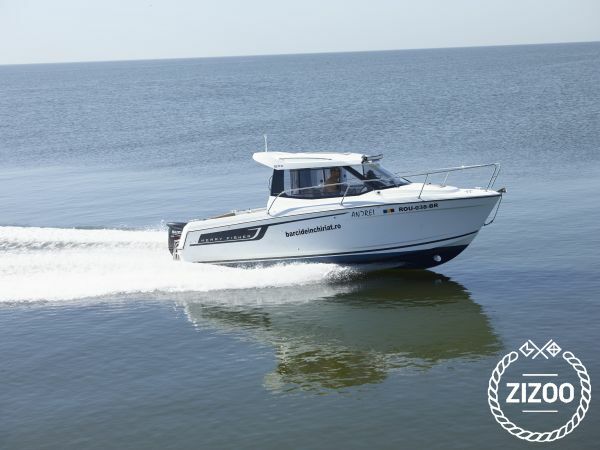 The price includes the skipper (due to the fact that the Danube Delta requires some experience, due to water currents but also specific vegetation which can create difficulties), but no deposit or insurance required. The profile of her windscreen and large sliding glass doors lend her that elegance that is fundamental to beautifully designed boats. A dream-come-true, the Merry Fisher 695 is equipped with an inviting cockpit (including in the marina,with the engine raised). As for the cabin, featuring a clever layout for a model of this size, it comfortably accommodates 4 people.